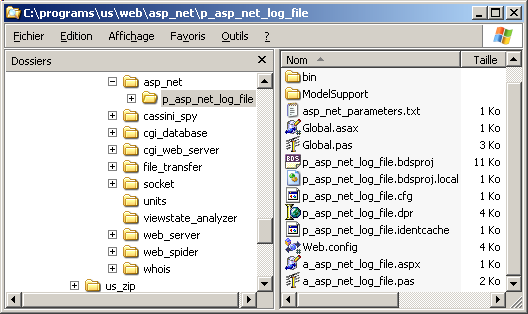 ASP.NET Log File - Felix John COLIBRI. 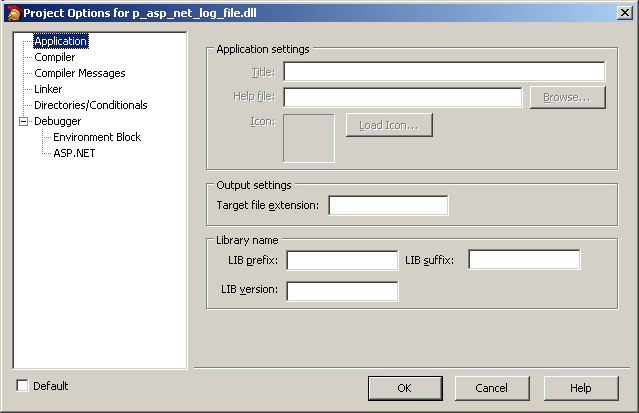 We explain how to create an Asp.Net log file. 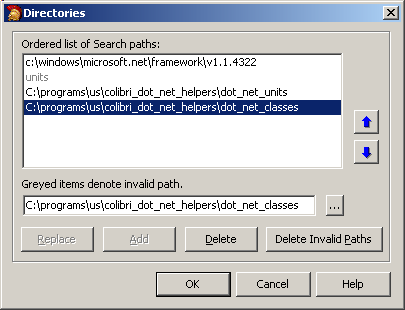 Asp.Net is delivered with all kinds of debugging features. Without rejecting all those tools, we are so used to indented log files that we started to implement them as our first step in the Asp.Net world. So debugging messages tied to an AppDomain will not survive this execution. The log file will remain on disk, as long as we want. And can be viewed in case of crash, telling us the whole story which led to this sad happening. 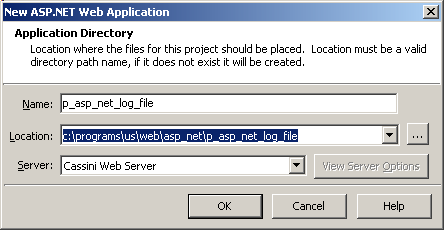 Usually the project using the log declares a c_log variable, and uses this variable to create and write to the log. This is achieved by using a global variable hidden in the IMPLEMENTATION of the log UNIT, and a common fixed path and file name. 2.3 - Where should we place the Log File ? Do NOT place the log in the p_xxx\BIN directory. For a complete explanation, see the the BIN changes story below. 2.4 - When should the log be created ? Many many papers can be found via Google about "the life of an Asp.Net page". Oh yes. Could even be called "The secret life of an Asp.Net page", or maybe "Everything you ever wanted to know about the life of an Asp.Net page". The sad story is that the mere publishing of those pages demonstrate that following the flow of control during the rendering of a page is not obvious. We naturally wanted to create the log in the first event which requires a log entry. So we first placed the creation in the main .Aspx tWebForm1.Page_Load or tWebForm1.OnInit events. 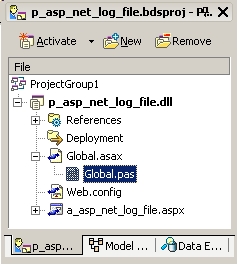 We later had to investigate Global.Asax, and found out that events in this file were called before the main page. The documentation confirms this in the "HTML Pipeline" descriptions. So we placed the creation in the Global.Asax create event. 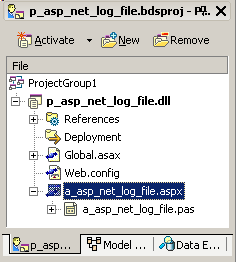 select "file | new | asp.net application"
then, in the top right tree project manager, right click the WebForm1.aspx line, and rename the file name "a_asp_net_log_file.aspx"
select "Project | Options "
We then encountered random "Thread Timeout" exceptions, which could not be explained. Path.DirectorySeparatorChar + Format(Now(), "yyyyMMddHHmmss") + ".TXT"
the "TimeOut" attribute in the config file to proper value. application and proved that the problem is solved. I had read about this automatic recompilation of .ASPX pages, whith all this shadow copying business and all. But I was miles away from the diagnostic when the exceptions started hitting the application. I would certainly question Mr CHENG's postscript "Get Secure with www.microsoft.com". Must be some kind of Redmond private joke, I guess. But he did save my day, so, thank you very much, Mr CHENG. In conclusion: NEVER place any custom file which is updated in the BIN directory. Much could be done to improve this log. We could add a display on a web page Label, concatenate the logs etc. FileAccess.Write because Java (and therefore C#) does not have decent constants. But whining and crying is no solution: either stick with Delphi 6, which is fine, or for Asp.Net development, bite the bullet. 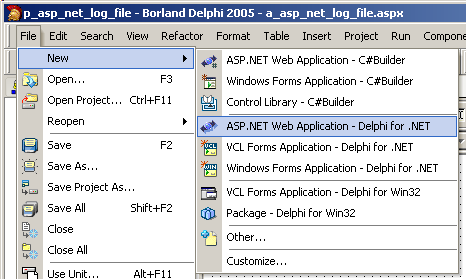 In this area, the best book still remains the Xavier PACHECO's "Delphi 8 for .Net", which is better than most of the books on Delphi, even the recent Delphi 2006 books where nearly all authors try to cater to both Vcl.Net and Windows Forms developments. Fatal error. Using this old log file will certainly look outdated in our time and age of steppers, symbolic debuggers and event logs, but, after over 20 years of developments, I personally have never found a more efficient tool. I used one with the Apple UCSD Pascal, then for 6502 assembler, Prolog, Postscript, 8086 assembler, Delphi, of course. 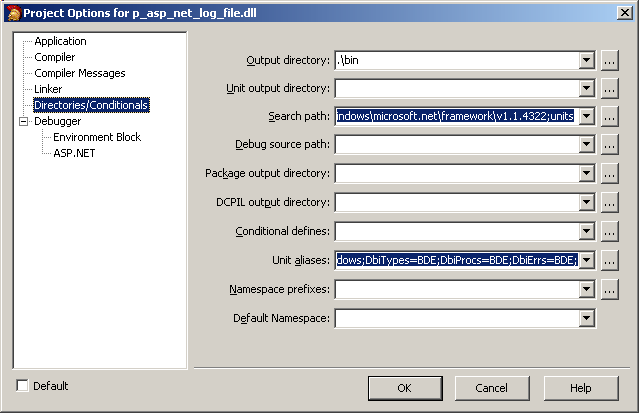 And the first thing for .Net I developed was, of all things, the log file.